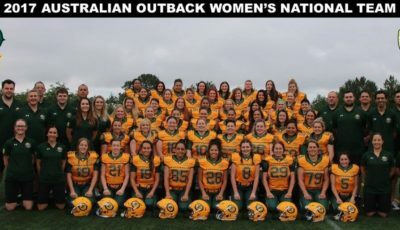 Gridiron Australia would like to announce that this year’s Tahiti Tour will be an Australian Outback Development Team. This is a Senior Mens Team and all players must be 18 year and over. The tour will depart Australia on Thursday 21 July and return on Tuesday 2 August 2016. 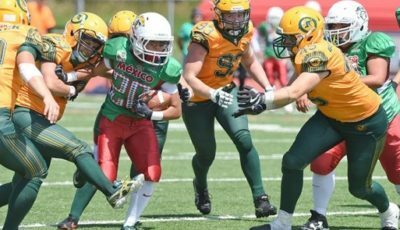 Cost per player is $2200 (this includes return airfare from Sydney to Tahiti, Accommodation, Meals, Camp, Game Day Uniform and Socks, Tour T-shirt, Cap and training jersey). Please include your Name, Position, Years Playing, Club Team, Date of Birth, State. Please note that all players MUST hold a valid Australian Passport. From this information it is not an official Australian Outback game but a development team who will head to Tahiti to take part in the game. 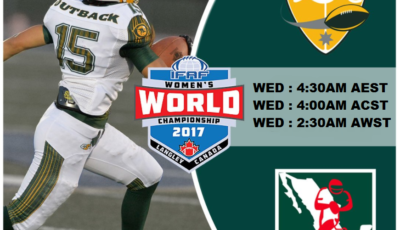 One interesting thing is that Gridiron Australia have confirmed that Victorian players will be permitted to take part in this game. All this does is confirm our belief that some members of Gridiron Australia don’t care about Victoria’s membership status and others in Queensland do. 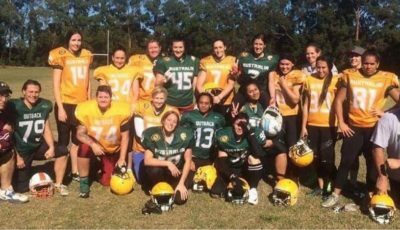 Looking to play Gridiron in Queensland?